We are the leaders in personal finance education for children. Money Savvy Generation develops innovative products to help parents, educators and others teach kids the skills of basic personal finance. We strive to empower kids to take control of their financial lives and, in turn, their futures. We sell more 4-chambered savings banks (pigs, cows and footballs) than anyone else in the world. Our scripted curriculum format is preferred by elementary and middle-school teachers. We have more personal finance content (curriculum, activity books, seminars, television programming, songs and other products) for elementary school children than anyone else. Our personal finance products for children have won numerous awards from educators, the press and trusted third party organizations that rate children's products. We have more published studies demonstrating the effectiveness of our curriculum than all other competitors combined. We are the first and only company with personal finance blog aimed at helping parents teach their kids about money. 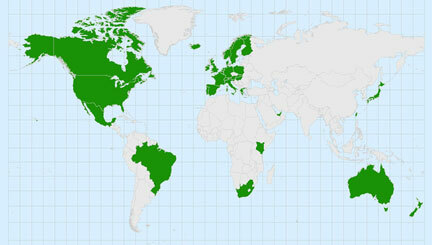 Our products are used on six continents, with new markets opening all the time. Click here to see our industry positioning (Analysis by Money Savvy Generation). Everyone should have a passion in their lives. Something that excites them 24/7. Our passion is to help children develop financial capability beginning at an early age.